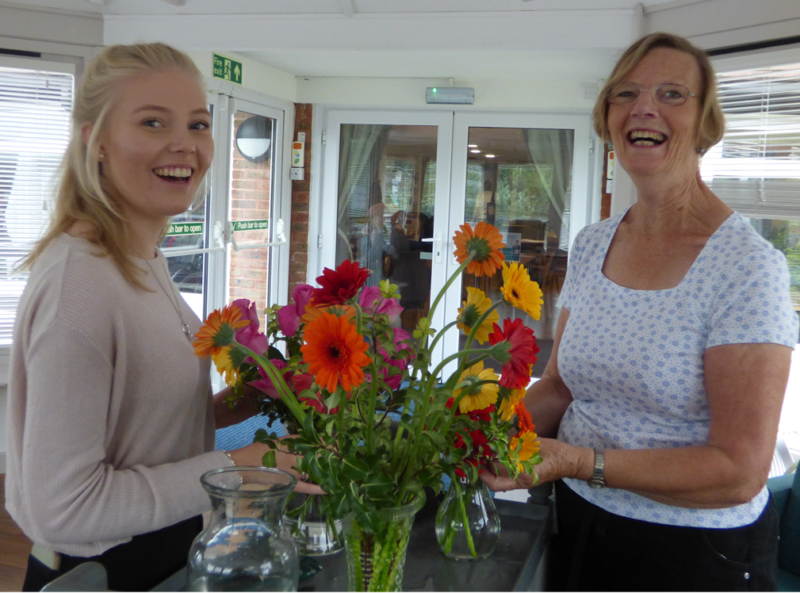 Carol and Katie are two of the amazing volunteers who make our hospice such a special place for those we care for. The family duo create stunning floral displays in patient rooms and around our hospice. ‘When I was 16, I had to do 10 hours of volunteering for a school project,’ Katie says. ‘Nan had also been thinking about volunteering, so we decided to do it as a team. I ended up enjoying it so much that I didn’t want to leave! I’m now doing a Business Studies degree at Surrey University, but I come back to help out during my holidays. ‘It’s an absolute joy to come here,’ Carol adds. 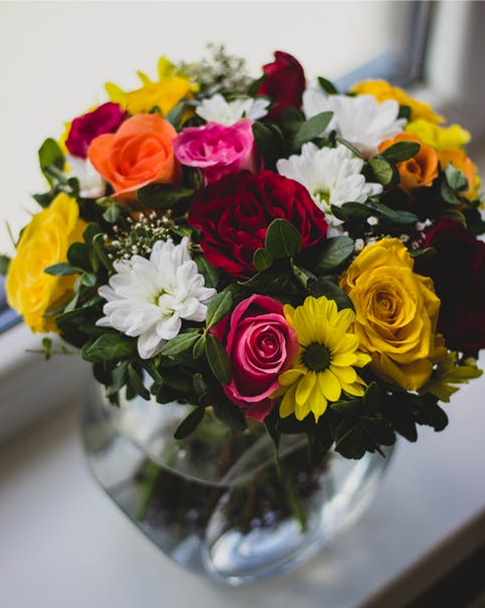 ‘The flowers brighten up rooms and can make people a little happier too. We both find it incredibly rewarding. ‘It’s lovely to be able to chat to patients about everyday things whilst we’re doing their flowers; I think they really appreciate that sense of normality at a time when many conversations can be emotional or clinical. It’s a privilege to meet so many amazing people and I love that I’ve shared so much of it with Katie. We’ve got lots of lovely memories here now. Whether days or decades, minutes or months, every moment of volunteering matters. You’ll meet great people, learn new skills and make the world of difference to local families. Read more about volunteering or drop in to our upcoming job fair for a tour of the hospice and to discover how you could help.